This original design in Black Clay is a great addition to any La Chamba Collection. 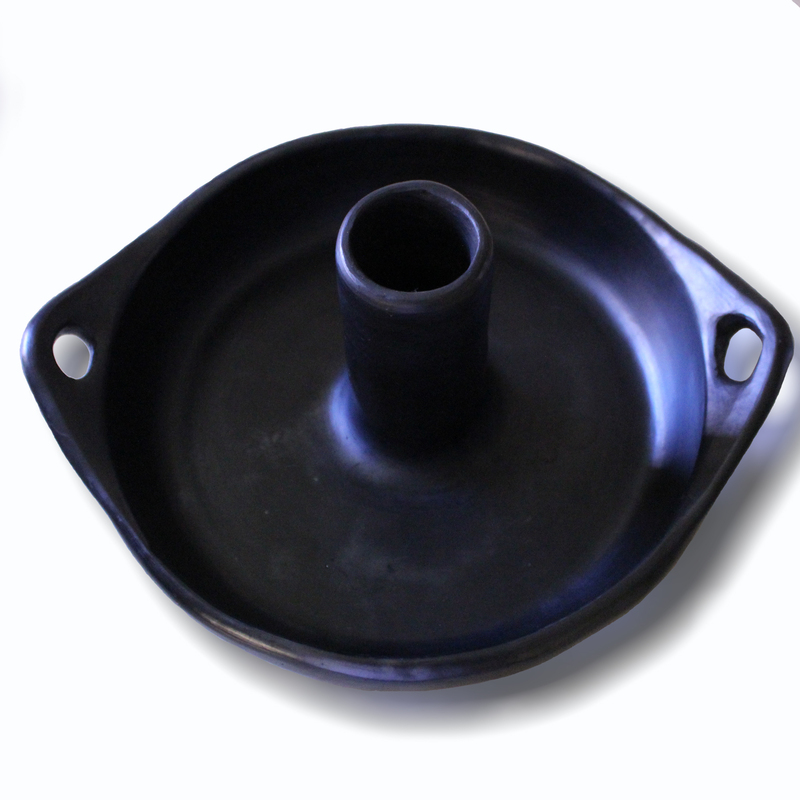 It is a a great roaster to cook chicken evenly in the Beer-Can-Chicken style but without the can. The addition of the center hollow tube allows you to add beer, spices, or other marinades in the center which produces a great flavor. Length 13 in (including the handles) and Width 11in (outside dimensions), Height 7.0in (to the top of the tube).